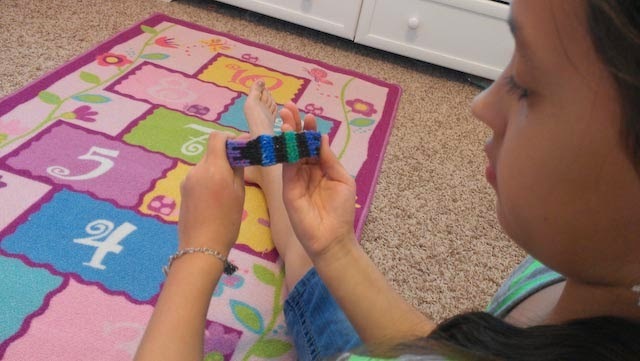 I posted in the fall about Miss Ella and her obsession with rainbow loom. I never posted pictures of her creations though, so here they are!! I finally took some photos for ya :) The first picture is of her case that she bought with her own money at Target . 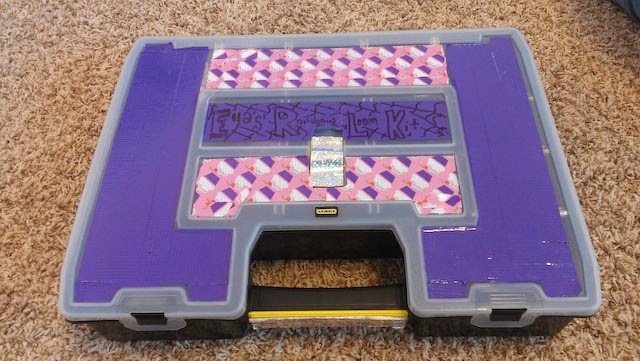 She decorated it with duck tape(with lots of purple of course!). 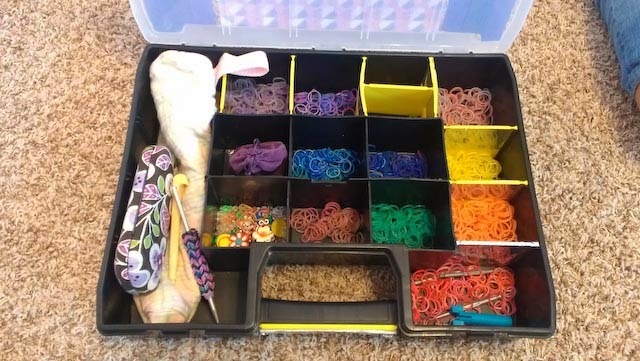 You will then see how organized she has it with all of the colors separated out..and even the looms fit inside! 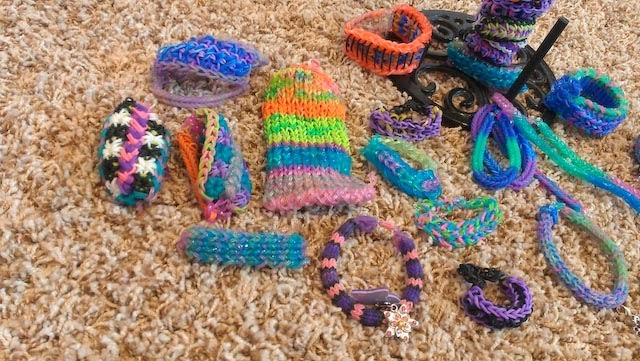 She has made who knows how many bracelets! 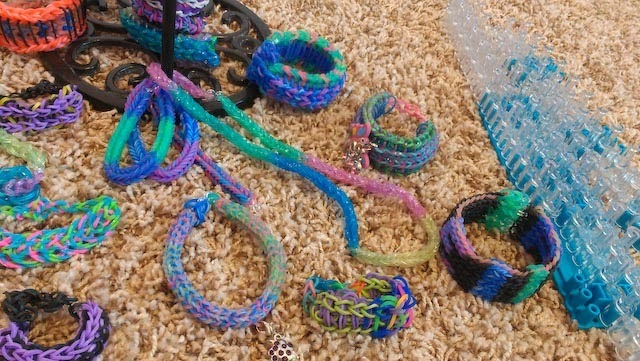 And not only bracelets but keychains, a cell phone case, headbands, necklaces, lanyards, a cover for the loom(to make it softer for her hands:) and other things I know I'm forgetting to name. She has even created her own designs. You should hear her talk about it-its seriously like a different language. And as you can see in the last picture she has even loomed her name into one(and recently she made one with Cali's name on it for her birthday :) She is very VERY creative and very talented! And when she makes a mistake or a band pops(after so much work which is frustrating) she doesn't give up and keeps going. She is a hardworking kiddo!! 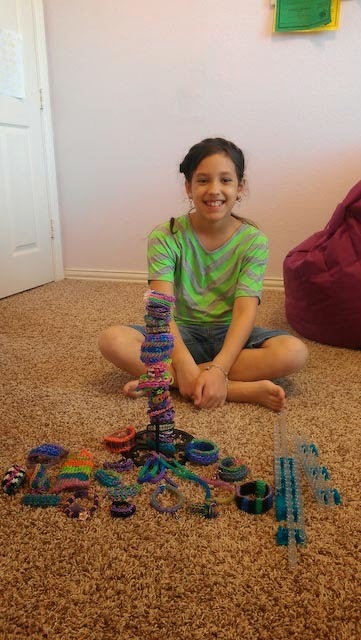 For her this isn't about the rainbow loom fad(that has pretty much come and gone), she does this because she loves doing it. It makes her happy she says :) And that makes me happy too. 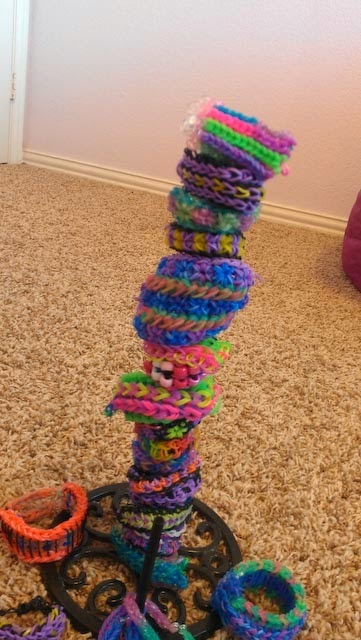 The stuff she can make with that little loom is amazing. i can't believe how talented and creative she is sometimes.